Move right in! Prepare to have all your concepts of space, design, luxury and innovation completely revolutionized by this spectacular seven-story mansion. This newly transformed residence delivers a premium property experience crafted on a scale and magnitude that will leave you speechless with its stunning interior design by Thierry W Despont LLD, while making a statement in architectural mastery by Pierre Yves Rochon. 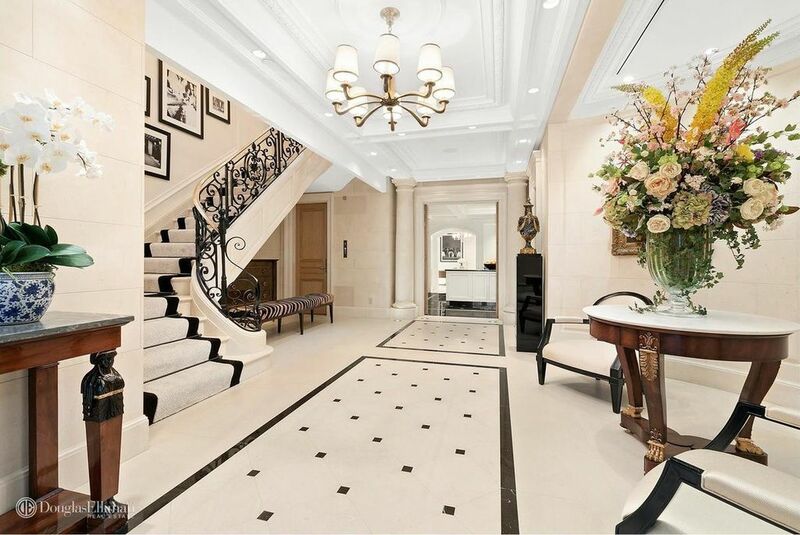 The trophy Upper East Side townhouse features over 13,000 sq ft of internal space including seven bedrooms, eight bathrooms and three powder rooms. An internal elevator and dumbwaiter connects each level from the basement to the private rooftop garden. There is a selection of generous formal and informal living spaces, a reception gallery, media/screening room and a fourth-floor library that overlooks the living area. On the basement level, a resort-style fitness center is fully fitted out with a massage room, steam room, 20 ft. swimming pool and gymnasium.An entire floor master suite comes complete with a separate dining space, a luxurious master bathroom and access to its own private garden terrace. There is a selection of generous formal and informal living spaces, a reception gallery, media/screening room and a fourth-floor library that overlooks the living area. The chefs kitchen will delight entertainers with its spacious island bench, stone countertops and high-end inclusions, plus there are separate staff quarters, Crestron temperature and humidification control, radiant heat, and a security system that includes keyless entry. On the basement level, a resort-style fitness center is fully fitted out with a massage room, steam room, 20ft swimming pool and gymnasium, as well as an entertainment zone with customized built-in wet bar. Every element painstakingly planned, every aspect beautifully considered; this remarkable family residence unfolds with perfection, passion and poise amid some of Fifth Avenues finest homes. This breathtaking Manhattan residence offers absolute privacy within a few footsteps to Central Park, with easy access to the neighborhoods fine restaurants, vibrant cafe scene, galleries and theaters. Sold furnished or unfurnished. Co-Exclusive.